I am so proud to have Ella as an AMOM sponsor as I LOVE all things Ella. When Simple Scrapbooks went away, I was so sad and Ella filled that void by offering me endless inspiration and instruction that followed the tradition of simple scrapbooking that I love so much. 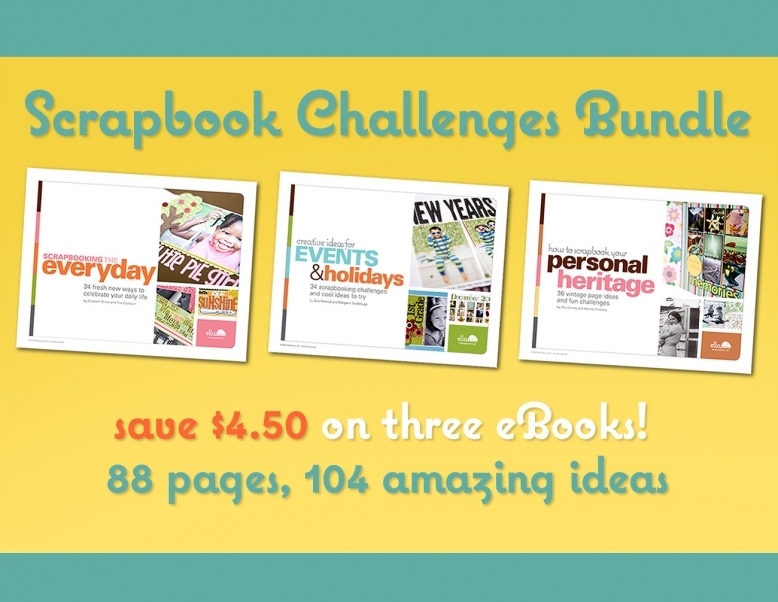 That is why I wanted to make you aware of Ella's first bundle offer - the Scrapbook Challenges Bundle - which is available now at a great price of only $13.47! 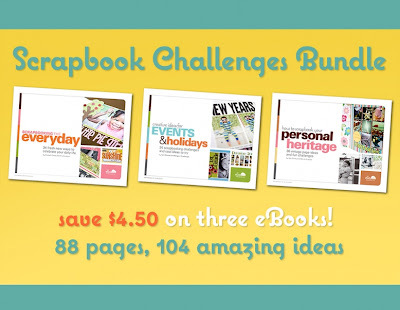 The bundle contains three inspiring Ella titles including Scrapbooking the Everyday, How to Scrapbook your Personal Heritage and Creative Ideas for Events and Holidays. If you were to purchase these title individually, it would cost you $4.50 more, so this would be a wonderful opportunity to check out what Ella has to offer if you haven't already. OR, if you already love ELLA, but don't have these newest titles, it's a great chance to save some $$!